Scenic beauty, clear blue skies, fresh air, and barren mountains, everything about Kempty fall just makes you fall in love with the place. And to enjoy the view, OYO 7252 is just the place for you to check into when you are there. Just 200 meters away from the Kempty fall, this resort also has a waterfall and swimming pool. You can also try boating, cycling, mountaineering and many other activities. Its an ideal spot for music lovers, trekking, enjoying picnics and delightful walks too. 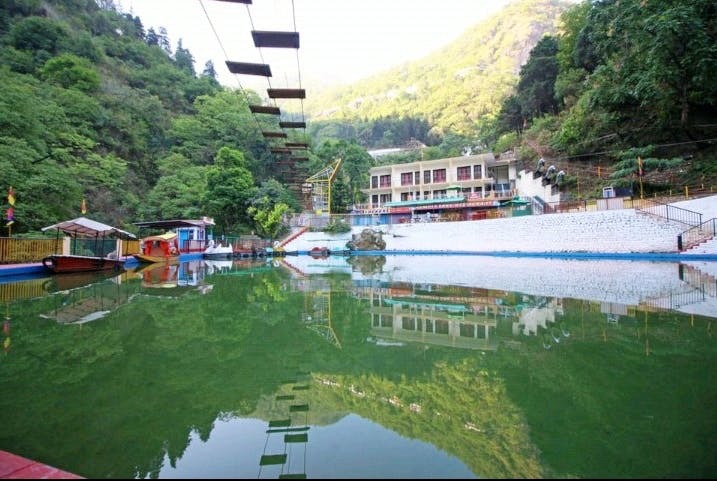 You can also head to Company Garden which is on the Mussoorie-Kempty Fall Road. Also, book through OYO to get a complimentary breakfast. So if you're up for an adventure packed trip, head over to OYO 7252 for a peaceful holiday.